The Redskins made the playoffs in 2015 thanks to improved play at the quarterback position leading to five wins in their last six games and a 9-7 record. Over their last three games of the year, Washington scored 107 points (35.7 per game). After two seasons, Jay Gruden has a 13-19 record as the head coach with one playoff berth. Their offense finished 10th in points scored (388), but they were only about league average in total yards (17th). Sean McVay returns for his third season as offensive coordinator after spending four years in Washington’s system as a tight end coach. In a way, the Redskins outplayed their defense as far as points allowed (379 – 17th) when you consider they allowed the 5th most yards in the league. Between points scored and points allowed, Washington improved by 146 points from 2014. Joe Barry will run the defense for the second season. He has 14 years of NFL experience with two of which coming as the defensive coordinator with the Lions in 2007 and 2008. Kirk Cousins– After a slow start to the season over the first six games of the season (six TDs and eight Ints), Kirk had his breakthrough game in Week 7 vs. the Buccaneers. He threw for 317 yards and four combined TDs at home setting up an impressive finish to the season. Over his last nine and a half games of the year (rested in the second half of Week 17), Cousins passed for 2429 yards with 20 TDs and only three Ints. He had seven games with over 300 yards passing and five games with three TDs or more on the year. Kirk even chipped in with five rushing TDs despite gaining only 1.85 yards per rush on 26 carries. He finished with a league-high completion rate (69.8). Over 16 games, Cousins passed for 4166 yards and 29 TDs with 11 Ints. His success was created by a huge season by TE Jordan Reed (87/952/11). His WR score didn’t play at an elite level due to the injury to DeSean Jackson. 2016 should be a fun year for Cousins. He has added strength at WR with Josh Doctson added to the mix plus an edge at TE. It’s pretty obvious he’ll throw the ball to the running back position (79/704/3 on 103 targets). Washington needs to run the ball better, but they will throw the ball close to 35 times a game. I believe in his success and his supporting cast so 4500 yards with 30+ TDs should be well within reach. Matt Jones- Jones will bring a pounding style to the Redskins offense. His resume isn’t anything special over three seasons at Florida where Matt ran for 1431 yards on 297 carries with 11 TDs. He also caught 19 passes for 100 yards with one TD. His best season was 2014 when he gained 882 combined yards with seven TDs. In his rookie season in the NFL, Jones only gained 3.4 yards per rush. He finished with 163 touches for 794 yards with four TDs and 19 catches. His impact upside was showcased in the passing game where he averaged 16.0 yards per catch. Jones had two impact games as a RB2 on the Redskins (155 combined yards with two TDs and three catches plus 187 combined yards with a TD and three catches). He missed three games late in the season due to a hip/groin issue that required surgery. With Alfred Morris now carrying the clipboard in Dallas, Matt is poised to have a three-down opportunity. He has low mileage and a short resume, but his game should have high upside with a heavy workload. Last season Washington’s RB had 400 carries for 1525 yards (3.8 yards per rush) with five rushing TDs). Their offensive line should be slightly improved, and Jones should offer more explosiveness to the run game over the long haul. If he stays healthy, Matt should get close to 300 touches for 1400 yards with an outside shot at double digit TDs and 40 or so catches. He’s an upside RB2 in the early draft season as the 22nd RB off the table in 12-team PPR leagues. Chris Thompson- After having minimal playing time in his first two years in the NFL (nine touches for 39 yards and a TD), Thompson worked his way into the RB rotation with the Redskins. He finished with 70 touches for 516 with two TDs and 35 catches. Chris lacks size (5’8” and 193 lbs.) so he may have injury risk. He missed three games in 2015 due to a torn labrum in his left shoulder that required surgery in January and a back issue. Most of his value will come on passing downs where he will see some action in the run game as well. Thompson had six catches or more in four of his 13 games in 2015. This year he’ll see the weaker half of the RB split. I expect between 100 and 150 touches with half of his opportunity coming in the passing game. Keith Marshall- Over four seasons with Georgia, Marshall ran for 1379 yards on 253 carries (5.5 yards per rush) with 12 rushing TDs plus 24 catches for 225 yards and another three TDs. He blew out the ACL in his right knee in 2013, and his knee wasn’t healthy in 2014. His two years of lost time led to him losing his window for playing time in college. Keith ran a 4.31 forty at the 2016 NFL combine to draw the attention of the Redskins. Marshall was expected to be an elite talent so he may surprise at the next level. He is a name to follow over the summer. Pierre Garcon- Over the last two years, Garcon has fallen well short of his value driven by his success in 2013 (113/1346/5). He finished with the second-most catches (77) of his career in 2015, but his yards per catch (10.8) remain in a weak area leading to disappointing yards (777). Pierre has never scored more than six TDs in any season in the NFL while posting 34 in 116 career games. Garcon is a solid NFL WR that works the short areas of the field. He should be the 2A option in the passing game behind Jordon Reed. At this point of his career in the Fantasy world, Pierre is a WR4 with matchup value. Garcon has fewer than 100 yards receiving in his last 29 games played in the regular season. Let’s set the bar at 70 catches for 800 yards with a career-high seven TDs. Desean Jackson- After a huge season for Washington in 2014 (56/1169/6) in 13 games played, Jackson never found his rhythm last year due to an issue with a hamstring. DeSean was knocked out of Week 1 after 13 plays with no catches, which led to six more missed games. He also missed Week 16 due to a knee/ankle issue. In his nine games played, Jackson caught 30 of his 49 targets for 528 yards and four TDs. He finished with one impact game (6/153/1). In his career, DeSean has four years with over 1000 yards receiving, but he’s caught more than 65 passes in only one year (82/1332/9 in 2013). In his 112 games played, Jackson has 42 TDs while averaging 17.6 yards per catch. This season he’ll be drafted as a WR3 in PPR leagues with a chance to offer impact value. The Redskins’ offense is on the rise, and Jackson has all the tools to make an impact if he stays healthy. DeSean will have a chance at 65+ catches for 1100+ yards with eight to 10 TDs. Josh Doctson- Over his last two seasons at TCU, Doctson caught 143 passes for 2344 yards and 15 TDs. His best season came in his senior year when he caught 78 balls for 1326 yards and 14 TDs over ten games. Josh did miss three games in 2015 due to a wrist injury. Doctson has excellent quickness with strength in his route running. He needs to add some strength to help his release in press coverage. His hands will offer an edge in addition to his plus athletic ability. His skill set is intriguing, and Washington will need to figure out a way to get him in the mix. Josh should have big play and scoring ability in his first season in the league. It comes down to opportunity in the Fantasy market. I can’t see him beating out Jackson or Garcon for a starting job. I’d like to roster him if his price is fair as his value and opportunity may emerge over the second half of the season. Jordan Reed- Mr. Reed has risen to elite status while still having underlying injury risk due to his battle with concussions. Over 14 games in 2015, he caught 87 of his 114 targets (76.3 percent catch rate) for 952 yards and 11 TDs. He missed two games in October due to a concussion. In his rookie season, Jordan missed six games due to a concussion leading to a lingering headache. In 2014, Reed missed five games as a result of a hamstring injury. Overall, he’s missed 14 out of a possible 48 games in his three-year career. When he returned to the starting lineup in Week 7, Fantasy owners started to see his high upside. Reed caught 11 of his 13 targets for 72 yards and two TDs. Jordan kicked it into high gear over the last five games of the season (38/498/6 on 48 targets) to deliver huge returns in the high stakes Fantasy market. His talent is immense, and his opportunity is elite. Plus, the Redskins’ offense looks to have exciting upside. As great as he looks, Fantasy owners will need to pay full price for him in 2016. I’ve learned over the years in Fantasy football that you can’t dismiss talent even if you believe they have injury risk as injuries are tough to time or predict. The foundation has been set for an 80/1000 season with some value in TDs. Just in case, I would make sure an own another TE with upside as his backup. Dustin Hopkins- In his first season as a starting kicker in the NFL, Dustin made 25 of his 28 field goals (89.3) with some success from 50 yards or more (2-for-4) while playing in 15 games. He missed one of his 40 extra-point tries. Over the full season, Washington attempted 30 FG kicks with 26 flying through the uprights. They scored 44 TDs, which was 33 percent higher than 2014 (33). His leg looks to have upside with more experience plus the Redskins should have growth in scoring in 2016. Dustin is a reasonable backend flier at kicker with possibly a top 10 opportunity. The Redskins finished 26th in the NFL in rushing yards allowed (1962) with runners gaining 4.8 yards per carry. Their run defense did tighten up in the red zone leading to 10 rushing TDs. Teams attempted 25.4 runs per game, which was slightly below the league average (26.3). They ranked poorly as well in passing yards allowed (4128 – 25th) with 30 TDs and 11 Ints. Their defense only managed 38 sacks. Washington should be much improved with CB Josh Norman added to the secondary. He was one of the best cover corners in the league with negative value in run support. He should match in single coverage against Dez Bryant and Odell Beckham, which is a big upgrade for the Redskins. CB Bashaud Breeland was much a better player in both coverage and run support after struggling in 2014. With continued success, Washington will move in the right direction with their pass defense. DeAngelo Hall had a down year in coverage partly due to a toe issue. This season he’ll shift to strong safety where he should have value defending the passing game. S David Bruton looks like the favorite to win the other starting job in the secondary. He graded about league average in 2015. LB Ryan Kerrigan offered a much better balanced skill set in 2015 after struggling in 2014 against the run. He had nine sacks last year compared to 13.5 in 2014. LB Will Compton was a huge liability last year in all areas with starting snaps. He’ll probably lose snaps to LB Mason Foster, who was at least league average against the run with some value rushing the QB. Foster has high risk in pass coverage. LB Perry Riley added no value to the Redskins last year. LB Junior Galette missed the 2015 season due to a torn Achilles. He should move into the starting line with upside at pass rushing (22 sacks in 2013 and 2014 with the Saints). LB Preston Smith delivered eight sacks in his rookie season after Washington drafted him in the second round. He needs to improve his rush defense. DE Chris Baker had success as run defender while delivering a career-high six sacks. DE Ricky Jean-Francois held his ground against the run with no value in the pass rush. DE Stephen Paea struggled in 2015 while missing the last five games of the season due to a toe injury. He flashed some upside in the pass rush in 2014 when he posted a career-high six sacks. NT Jerrell Powe will compete for a starting job after missing the whole 2915 season. This team defense needs improved play from their defensive line while their secondary will be much improved at the CB position. Their linebacking corps has one upside player with two other options that have a chance to be productive. The Redskins will move closer to league average on the defensive side of the ball with matchup value at times when they play from the lead. 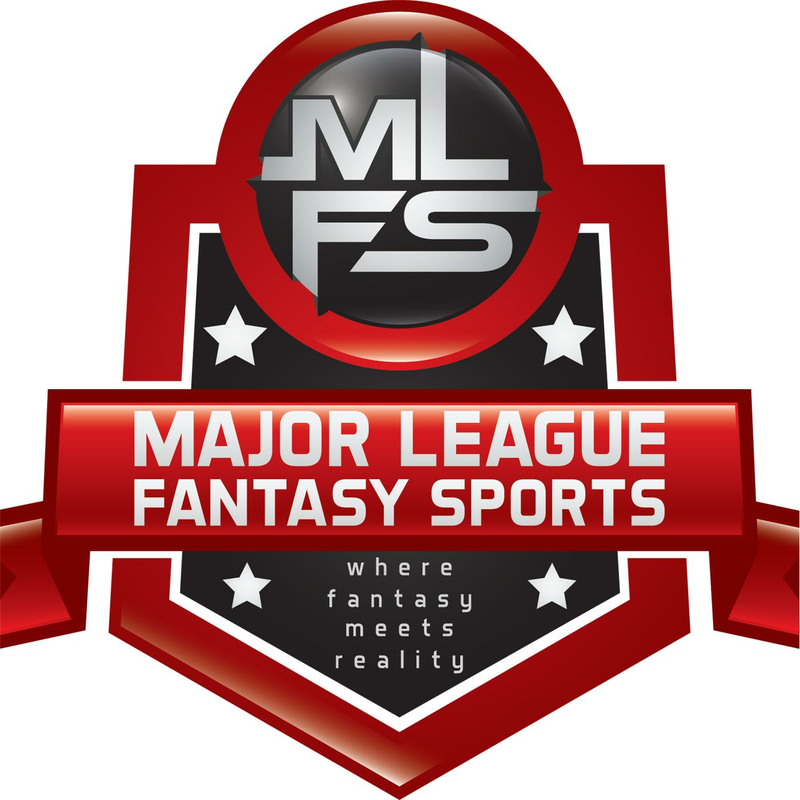 Major League Fantasy Football Radio: Join Ej Garr, Corey D Roberts, and Coach Jeff Nelson live Saturday July 16th from 1-2:30pm EST for episode #64 of Major League Fantasy Football Radio. This is a live broadcast and we take callers at 323-870-4395 press 1 to speak with the hosts. This week we will break down the NFC North from an NFL and fantasy perspective. Major League Fantasy Baseball Radio: Join Corey D Roberts, Kyle Amore, and Coach Andy Macuga live on Sunday July 17th, 2016 from 8-10pm EST for episode #73 of Major League Fantasy Baseball Radio. We are a live broadcast that will take callers at 323-870-4395. Press 1 to speak with the host. Kyle is a writer with majorleaguefantasysports.com. Andy is the Head Baseball Coach for Borrego Springs H.S. in Southern California as well as a 4 year veteran in MLFB leagues.